KAMPALA – Nation Media Group’s Editor-in-Chief and Executive Director Tom Mshindi has retired after working in the organization for a total of 24 years. The news was broken in a press statement by the Group Chairman Mr Wilfred Kiboro. 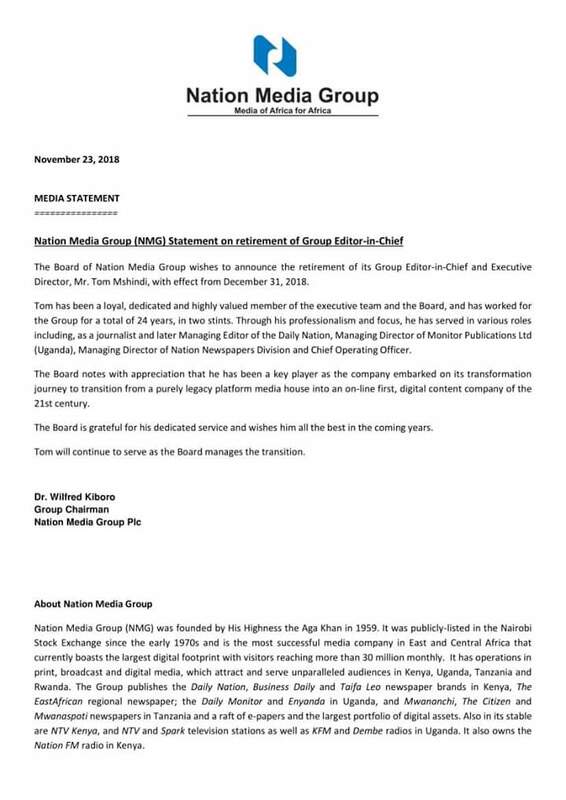 “The Board of Nation Media Group wishes to announce the retirement of its Group Editor-in-Chief and Executive Director, Mr Tom Mshindi, with effect from December 31, 2018,” Mr Kiboro said. Mr. Kiboro described Mr Mshindi, a seasoned editor as a loyal, dedicated and highly valued member of the executive team and the board. 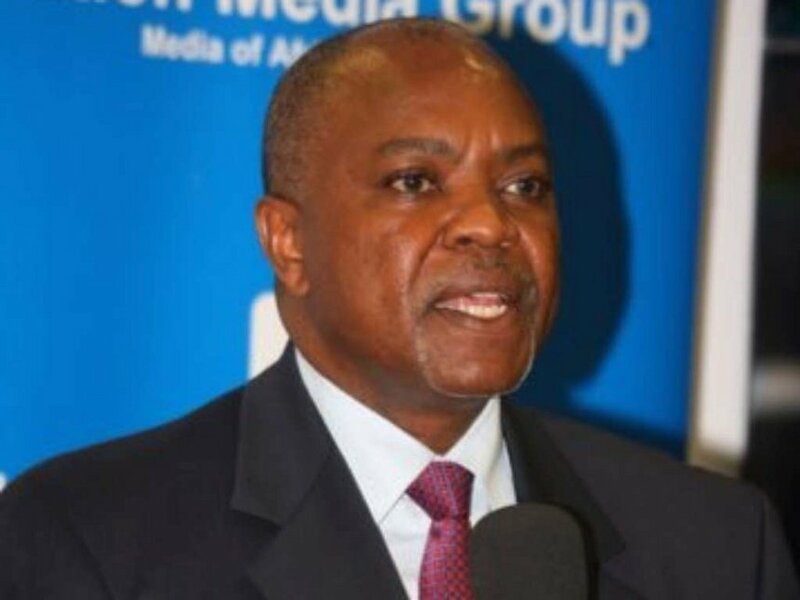 “The board notes with appreciation that he has been a key player as the company embarked on its transformation journey to transition from a purely legacy platform media house into an online first digital content company of the 21st century,” Kiboro said. In his 24 years at the Group, Mr Mshindi rose through the ranks starting off as a journalist, and later as the Managing Editor of the Daily Nation.